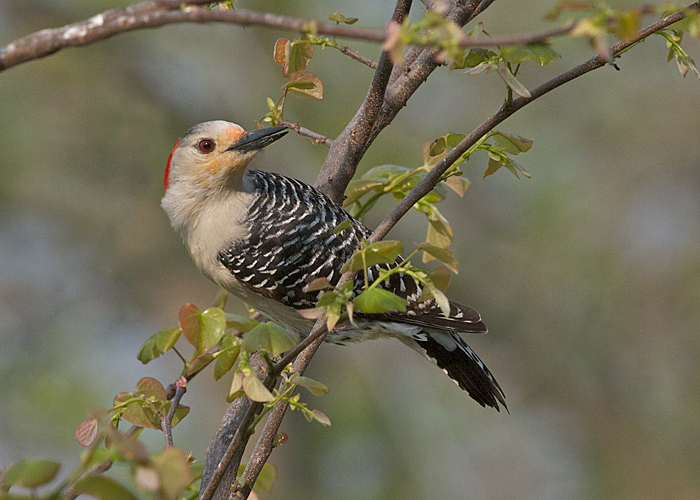 Female red-bellied woodpeckers normally have a peachy blush above the bill, but this one has an unusally colorful face. I think she must look very fetching to a male redbelly in search of a mate. All the birds love a birdbath, including this female red-bellied woodpecker.